"Momma Starr, noted Conjure Woman, has provided Root-Workers and Conjure-Folk with an invaluable tool for working with the Ancestral Spirits, doctoring the root (the spirit), and doing insightful and useful readings for oneself and conjure clients. 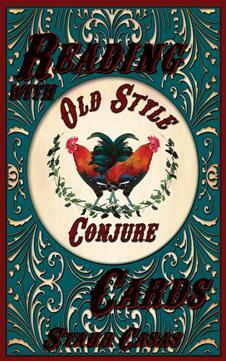 Old-Style Conjure Cards are powerful tools for competent spiritual-readings and they clearly reflect a lifetime of work and a wellspring of knowledge." Orion Foxwood author of "Introduction to Southern Conjure" DVD and "The Candle and the Crossroads"